Not everyone has childhood memories of time spent at a renowned hotel, and that's why Charles Bailey's experience is distinct. His grandfather managed the Drake Hotel, the famous landmark in Chicago, and he drew upon those recollections when he and his wife Connie decided to open a property of their own in nearby Milwaukee. They wanted the same high level of service, of course, but instead of opening a similar place of upscale tradition, the couple set out to create a modern escape built on no-frills style and a casual attitude. 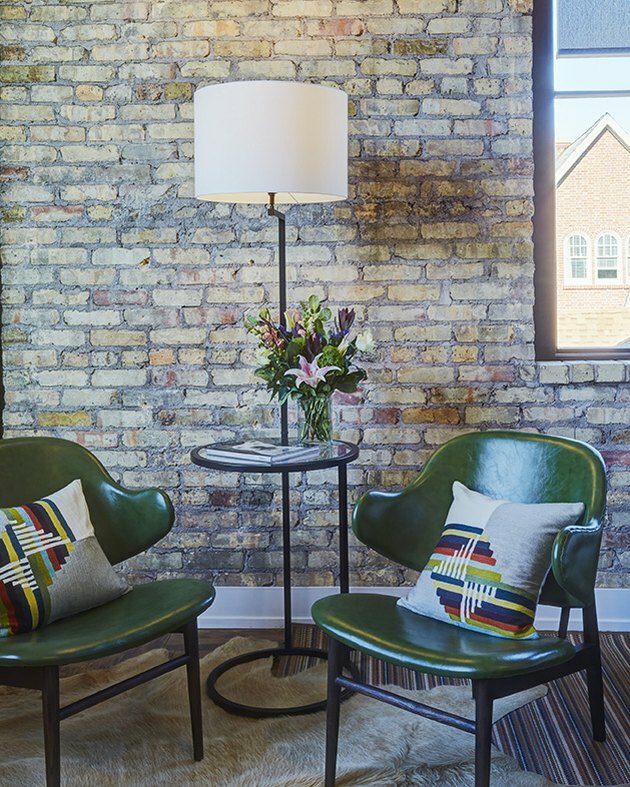 They unveiled Kinn Guesthouse in the Bay View neighborhood, the city's latest of-the-moment enclave, and the result is equal parts elegant and edgy. 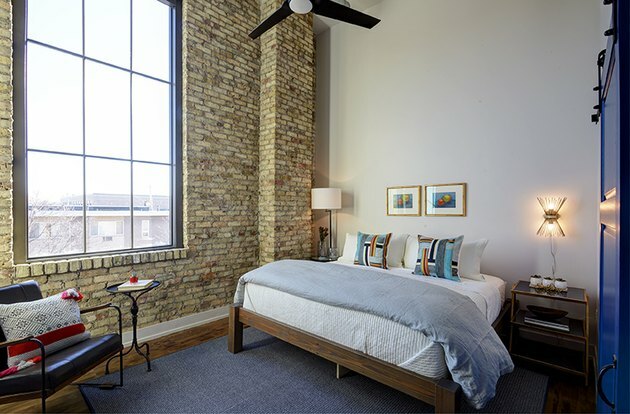 Guests receive a pin code after they book a room online, and once they arrive, they're welcomed into an inn where every room is individually decorated with exposed brick walls, hardwood floors, and local art. "The whole idea was about creating an atmosphere that felt more like home," Charles Bailey said. It took 18 months to transform the three-story building — which formerly housed a brewery, Chinese restaurant, and bar — into an eight-room property, which also features a communal kitchen and a in-house restaurant. But given Charles Bailey's history with the business, that seems like no time at all. Each room is uniquely decorated, but they all share an airy feel. New multi-pane windows are true to the building's history. LaBonte Construction, a local firm, created the bed frames out of wood that was salvaged from the building's restoration. 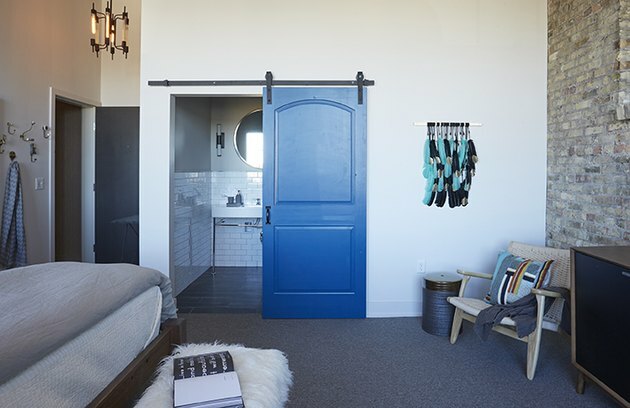 Sliding barn doors painted cobalt blue or cherry red separate the all-white bathrooms from the sleeping areas. 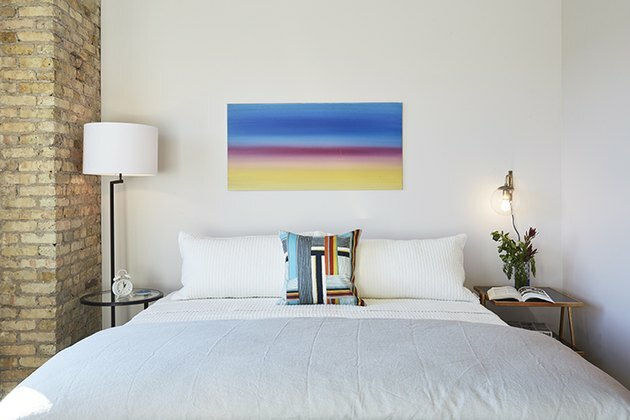 Local design firm Peabody Interiors made sure each room's decor flaunts off-beat pieces like brass antler hooks, embroidered textiles, and bold upholstery. 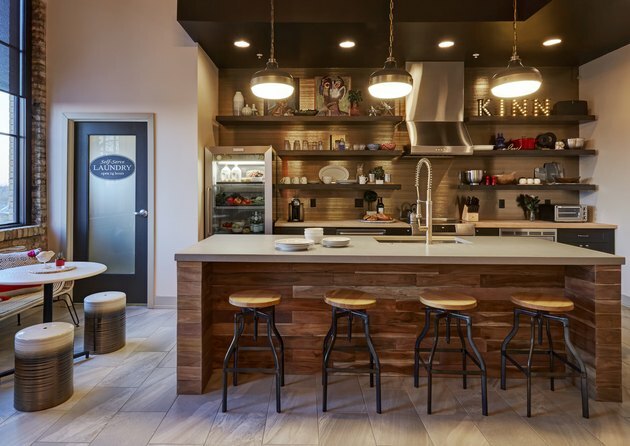 The communal kitchen's floating shelves feature cooking essentials, but the inclusion of decorative ceramic vases and pops of red — not to mention, the bar's cool wood detail — are in keeping with the rest of the hotel's trendy style.